The core of DPIN is the mentoring program, which consists of a cohort of mentoring pairs. 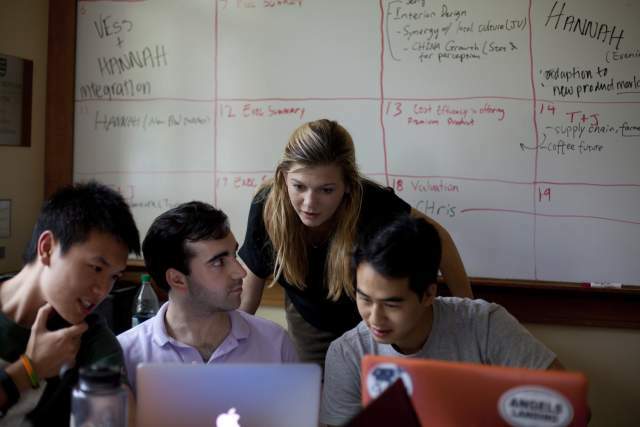 When Meghan McDavid D’10, T’18 was an undergraduate at Dartmouth, she had only a vague idea of the people and activities that constituted the Tuck School of Business, even though it was just a few hundred yards away. That fact struck her as especially odd when she began applying to business schools—she knew about Tuck, but why wasn’t there a stronger connection between the two schools and their students? McDavid’s experience at Dartmouth influenced her to choose Tuck for her MBA, and now she is using her Tuck experience to help Dartmouth undergraduates find their way in the business world. Last year, McDavid and Alison Byrne Donnally T’18 launched the Dartmouth Professional Insights Network (DPIN), a student-driven organization that matches Tuck and Dartmouth students for mentorship and career guidance. The core of DPIN is the mentoring program, which consists of a cohort of mentoring pairs: Tuck first-years and Dartmouth sophomores. They are paired according to their interests, backgrounds, and career objectives. Once the matches are made, the pairs work together to independently define their mentoring objectives. The expectation is that Tuck mentors will commit to guiding the Dartmouth students for 16 months, with the hope that they will forge a relationship that lasts much longer. DPIN created 31 mentor pairs for the T’18-D’19 classes, and introduced them in May of 2017. 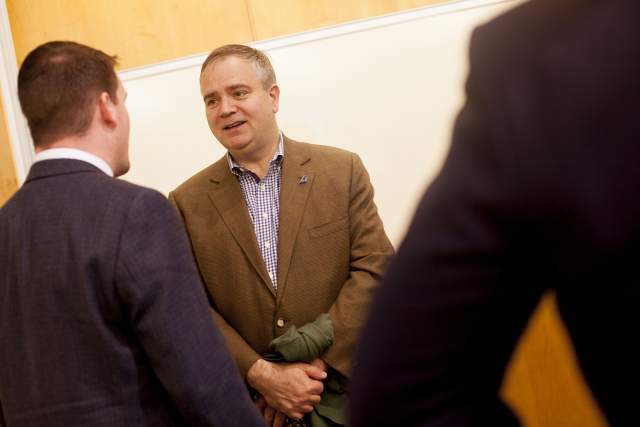 McDavid and Donnally expect an even larger cohort will be matched this spring (with the help of four T’19s who are now managing the program). In addition to one-on-one mentoring, DPIN organizes career exploration dinners and networking events. The dinners allow Dartmouth students to meet Tuck students who have worked in a particular industry, such as the social impact sector, and discuss recruiting, and the Tuck students’ work experience. 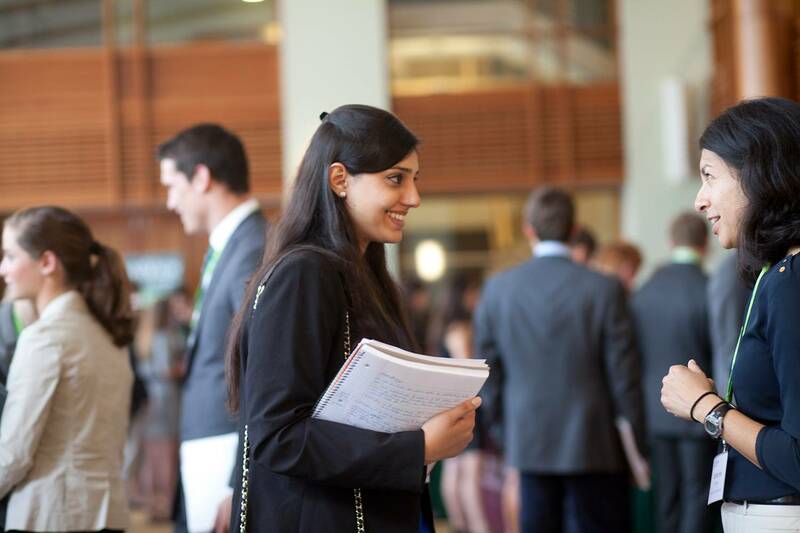 The networking sessions will convene even larger groups, to offer Dartmouth students a chance to practice meeting new people in a professional environment. With the Alan Smith D’52 T’53 Visiting Executives Program, Tuck MBAs have the opportunity to engage with business leaders in real life. In the principal project for the Business Bridge program, students acquire skills for life.